We would love to see him do Hello, Dolly! Here’s a way to get all the music and star power of a big Broadway show, minus that pesky plot. 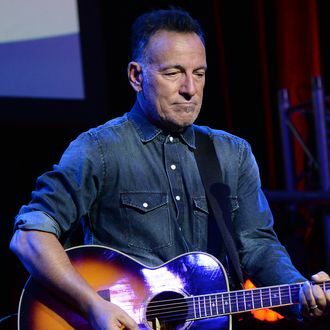 Per the New York Post, Bruce Springsteen is planning to do an eight-week stint on Broadway at the Walter Kerr Theatre starting this November. The Boss is reportedly going to perform a pared-down version of his touring set five nights a week at the 975-seat theater, essentially giving a close-up look at the material he typically brings to stadiums. Suddenly, Phish’s 13-show Madison Square Garden residency seems muted and reasonable.